‘Official’ climate science response: claim satellite data is not reliable, and play shoot-the-messenger. Predictable, as the results obviously don’t fit theories of man-made warming. Global warming has not accelerated temperature rise in the bulk atmosphere in more than two decades, according to a new study funded by the Department of Energy. University of Alabama-Huntsville climate scientists John Christy and Richard McNider found that by removing the climate effects of volcanic eruptions early on in the satellite temperature record showed virtually no change in the rate of warming since the early 1990s. “From our observations we calculated that value as 1.1 C (almost 2° Fahrenheit), while climate models estimate that value as 2.3 C (about 4.1° F),” Christy said. While many scientists have acknowledged the mismatch between model predictions and actual temperature observations, few have really challenged the validity of the models themselves. Christy’s removal of volcanic-driven cooling from satellite temperature data could also draw scrutiny. The study also removed El Nino and La Nina cycles, which are particularly pronounced in satellite records, but those cycles largely canceled each other out, the co-authors said. If this keeps up we might see someone demanding that the models be validated or thrown out, just don’t hold your breath waiting. 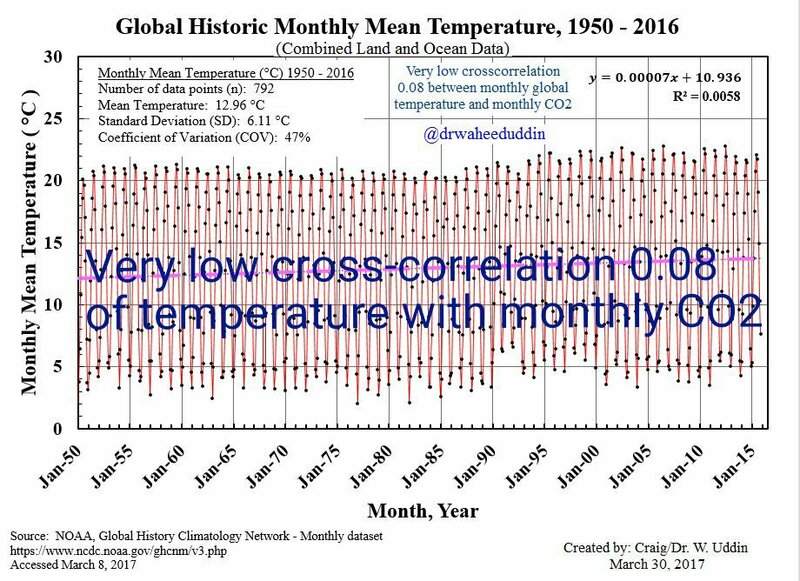 It is interesting that many scientists have acknowledged the mismatch between model predictions and actual temperature observations, few have really challenged the validity of the models themselves. but begs the question why has it been accepted as fact rather than speculation and why has so much public money been wasted on that speculation. Updated and improved satellite retrievals of the temperature of the mid-to-upper troposphere (TMT) are used to address key questions about the size and significance of TMT trends, agreement with model-derived TMT values, and whether models and satellite data show similar vertical profiles of warming…. When the impact of lower-stratospheric cooling on TMT is accounted for, and when the most recent versions of satellite datasets are used, the previously claimed ratio of three between simulated and observed near-global TMT trends is reduced to approximately 1.7. Santer et al want to tell us what *will* happen in the *projected* warming. This is supposed to be science? Small point-of-order…the caption of your picture is incorrect. 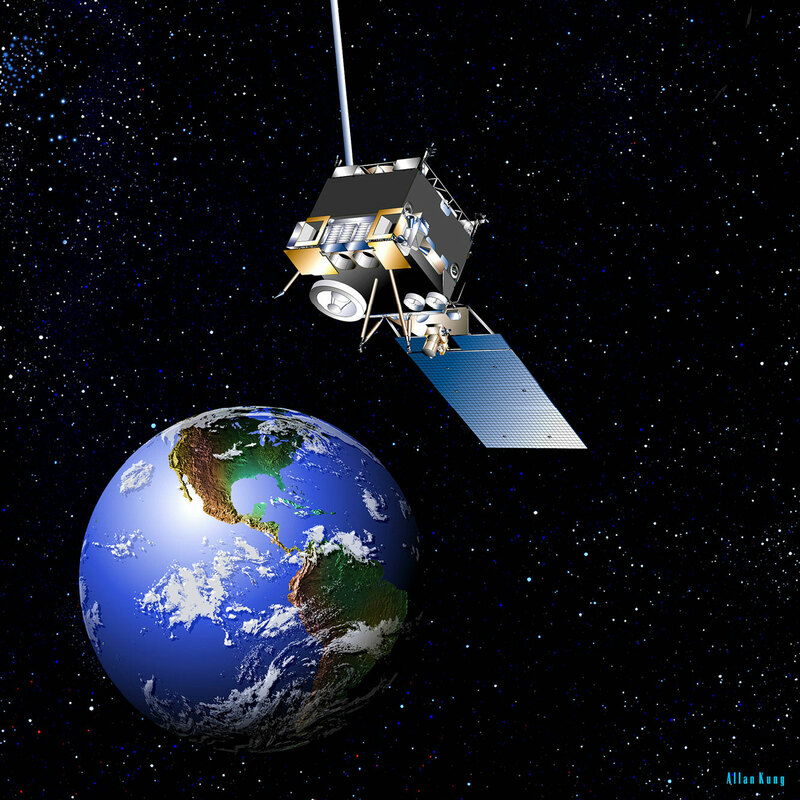 It may be a NASA image but it is a NOAA GOES satellite. NASA doesn’t do weather satellites. "NOAA manages the GOES program, establishes requirements, provides all funding and distributes environmental satellite data for the United States…". I work at NOAA/NESDIS/CDA Station @Wallops Island, Va. performing Command/Control and Image Processing functions as well as operating and maintaining those systems since GOES-7 (1990). It always has been a NOAA project that NASA participates in. JK – I was quoting from the caption to the photo of the satellite, see link in my comment. Under the image it says ‘Credit: NASA GOES Project’. You link provided says at the top says “GOES Project Science” All that NASA GOES Project does is provide a portal for NOAA GOES imagery. 2017 US hurricane season was nothing startling – 3 landfalls. The 396 W/m^2 upwelling and net 333 W/m^2 GHG energy loop as shown on the K-T power flux balance diagram (Figure 10 Trenberth et al 2011jcli24) is calculated using the S-B equation with an assumed emissivity of 1.0 and an average surface temperature of 16 C, 289 K. Because of the conductive/convective/advective/latent heat participating processes of the atmospheric molecules the actual and correct radiative emissivity is about 0.16, i.e. 63/396. This GHG energy loop is an inappropriate calculation with zero physical reality. Without this energy loop the radiative greenhouse effect theory fails. Without RGHE man-caused climate change does not exist. Don’t be frightened, spit out the Kool-Aid and give it a try. Without computers climate change would not exist, to hard to change all those readings manually.